We’re gonna be at Rose City Comic Con this year! Woo! Anyway, I’m moving, so here’s a doodle about moving. Hey, there’s a video of me drawing this! Check it out! This entry was posted on Friday, August 14th, 2015 at 12:00 am and is filed under Comics. You can follow any responses to this entry through the RSS 2.0 feed. Both comments and pings are currently closed. 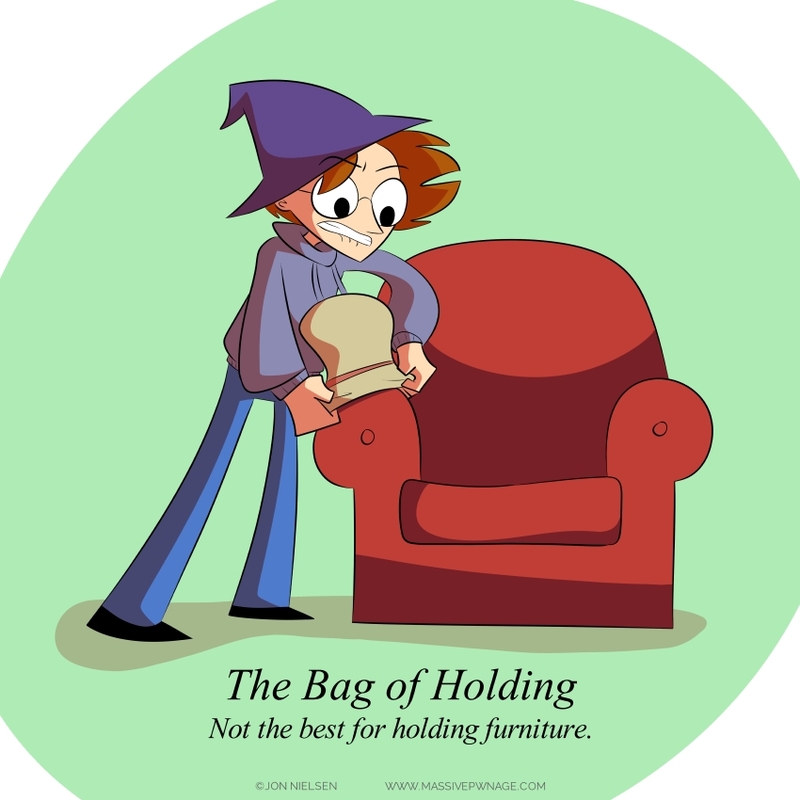 A bag of holding would be totally awesome IRL. But yeah, I suppose there is that issue of furniture.